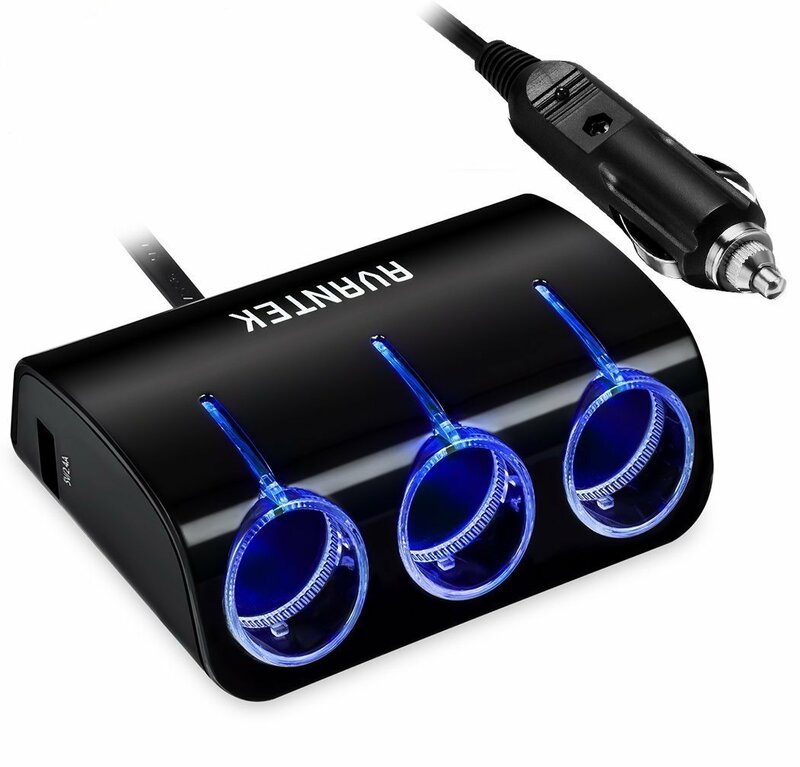 Home › Electronics › Avantek 3-Socket Cigarette Lighter Power Adapter Dc Outlet Splitter With 2-Po..
Avantek 3-Socket Cigarette Lighter Power Adapter Dc Outlet Splitter With 2-Po..
Color:Black with Blue LED Light This AVANTEK Cigarette Lighter Adapter / USBCar Charger is an essential gadget in your vehicle. It fits in most 12V / 24Vcar power sockets, and offers a convenient way to use portable appliances andcharge your electronics while you drive. Triple Your DC Outlets The 3 DCoutlets on this adapter provide a total output power of up to 120W, enough forsimultaneous use of your GPS, handheld vacuum cleaner and electric air pump.Dual Smart USB Charging Ports The two high performance USB ports enable you tocharge 2 devices simultaneously. Each USB port delivers an impressive 2.4 ampsof power (4.8 amps max total) for safe, high-speed charging of phones, tablets& more. High Safety Standards This product is designed with the safety of yourdevices and vehicle as the primary concern. Its built-in fuse, anti-corrosionmetal connectors, heavy duty copper wires and protective circuits ensure thatyour devices will never overload or overheat. Warranty Every AVANTEK productcomes with a 45-day money back & 18-month worry-free warranty. Buy withconfidence!